11:00 AM March with American Flags on Constitution Ave.
Assemble in open field on corner of Constitution Ave and 15 St. for march, near Washington Monument. Click on this image to see full size map. 12:00 Noon March Route. 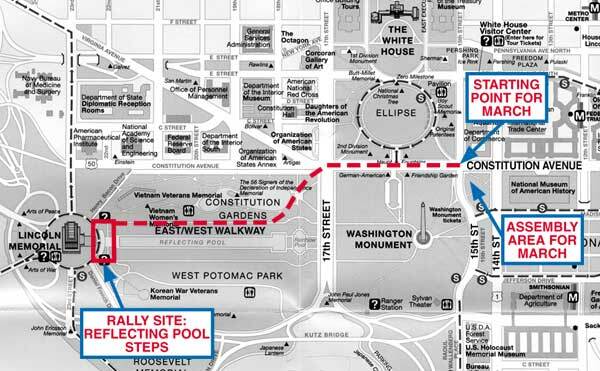 March begins on 15 St. and proceeds west on Constitution Ave. Cross at 17 St. and proceed through Constitution Gardens to the east/west walkway, north of the reflecting pool and proceed to the reflecting pool steps in front of the Lincoln Memorial. This is the Rally site. 1:00 PM Ceremony for Our American War Heroes in front of the Lincoln Memorial. A salute to Liberty, praising our troops' courage and sacrifice in Iraq and around the world, to insure Liberty's blessings for all the future generations of mankind. Then a reading of the names of the soldiers who perished in Operation Iraqi Freedom up until the present moment. Taps is played followed by a moment of silence for the veterans of all foreign wars, facing the Vietnam, Korean and World War II Memorials. 1:30 Support Our Troops Rally in front of the Lincoln Memorial. Program with speakers, honorable dignitaries, entertainment and invited guests. Program details and speakers to be announced. 4:00 Program ends with the singing of "America the Beautiful" and other patriotic songs. "Tyranny cuts out the eyes so the freedom of press, the watchdog of our liberties, is blinded. It cuts out the tongue so freedom of expression is silenced and all become mute in the face of indignity. 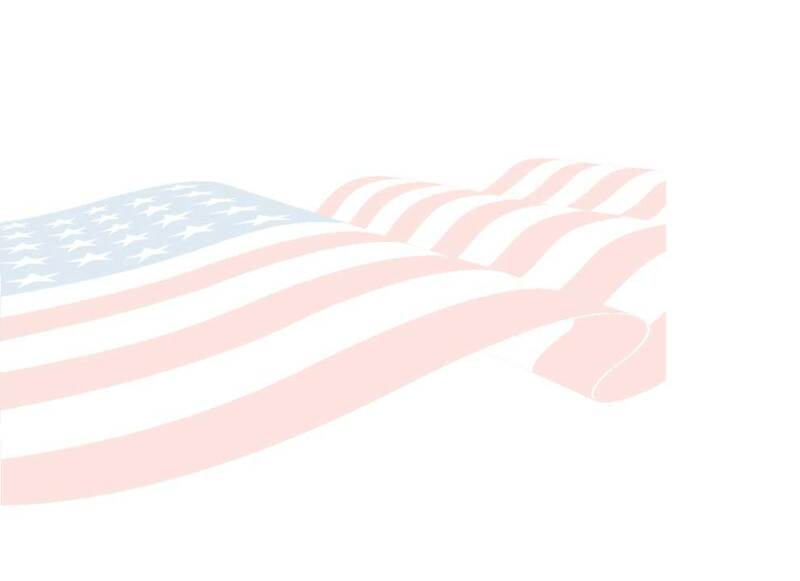 America is the beacon of freedom. Our troops protect this beacon and we need to show our support for these brave men and women."